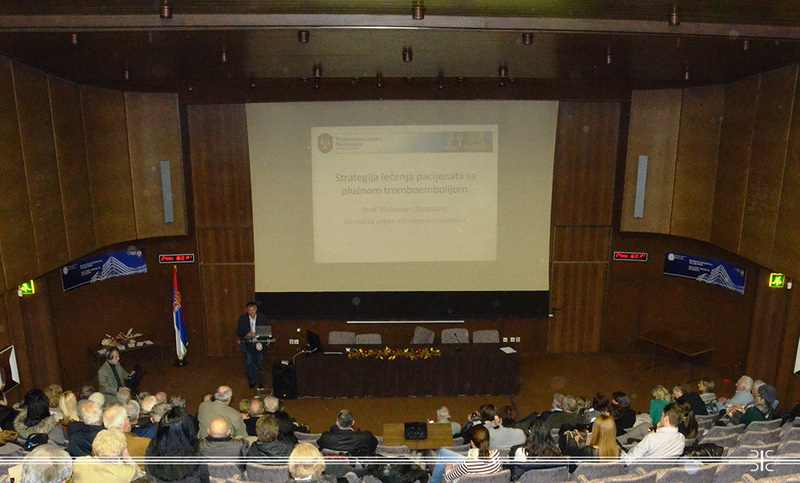 Expert meeting dedicated to the treatment of pulmonary embolism, organized by Cardiology Section of the Serbian Medical Society and the Clinic for Urgent Internal Medicine was held at the MMA. According to Head of the Clinic Lt Col Prof. Dr Slobodan Obradovic, whose introductory lecture was dedicated to the treatment strategy of pulmonary embolism, this large diagnostic and therapeutic problem frequently accompanies other conditions and diseases. Apart from recommendations and standardized therapies with the aim at discovering nature and causes of disease and the most efficient treatment of a patient clinicians have to anticipate the course of disease. Sharing experiences about the treatment of those patients and solutions that have been proven in practice could be very helpful. Accordingly, that was the main topic of the meeting. Followed the lectures delivered by physicians from the MMA’s Clinic for Urgent Internal Medicine Dr Danijela Vranes, Dr Boris Dzudovic and Dr Nemanja Djenic. They presented experiences about the use of new anticoagulation medicines in the last three years, bleeding risk assessment as well as results of treatment of patients with high or intermediate-risk of pulmonary embolism with local catheter-directed thrombolysis.